After the decisive defeat of Napoleon at Waterloo in 1815, Paris never recaptured “La Gloire”, the glory of Napoleon, but it would become the most beautiful city in the world due to the enduring, mythological vision of one man, Georges-Eugène Haussmann. At the beginning of the 19th century, the city of Paris doubled in density without increasing its space. Prior to then the city center was chaotic, overcrowded, dark, crime-ridden, dangerous and unhealthy. It was not uncommon to find 23 people, adults and children, living in a room five meters square, less than eight by seven feet. “Paris is an immense workshop of putrefaction, where misery, pestilence and sickness work in concert, where sunlight and air rarely penetrate. Paris is a terrible place where plants shrivel and perish…”, wrote Victor Considerant, French social reformer in 1845. 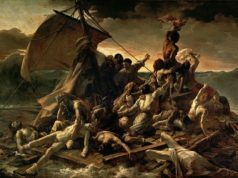 Within a city already filled to the brim with people– wagons, carriages and carts could barely move. The widest streets were only five meters wide (16 feet) and the narrowest were only one meter wide (three feet). Paris was at a heaving standstill. 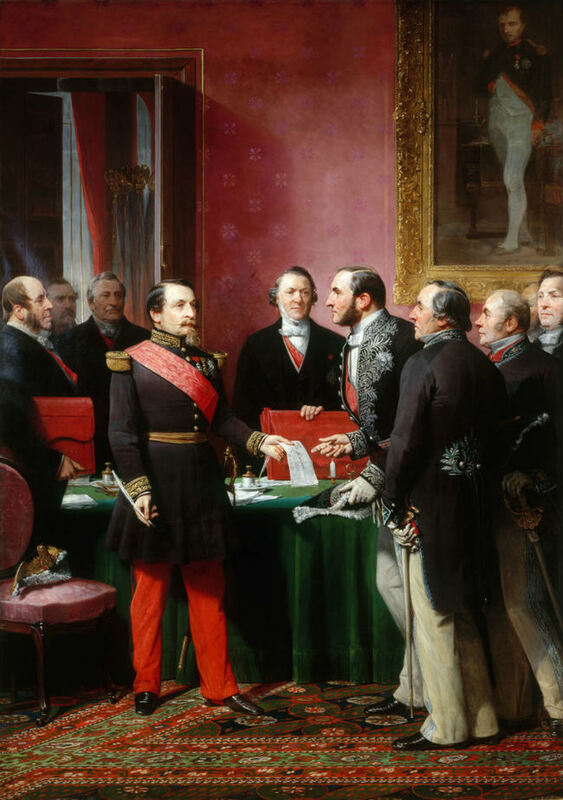 Following the ousting of King Louis-Philippe I, the last king to rule France in 1848, the Second Republic was formed with the popular election of Louis-Napoléon Bonaparte, nephew of Napoleon, as the first President of France. 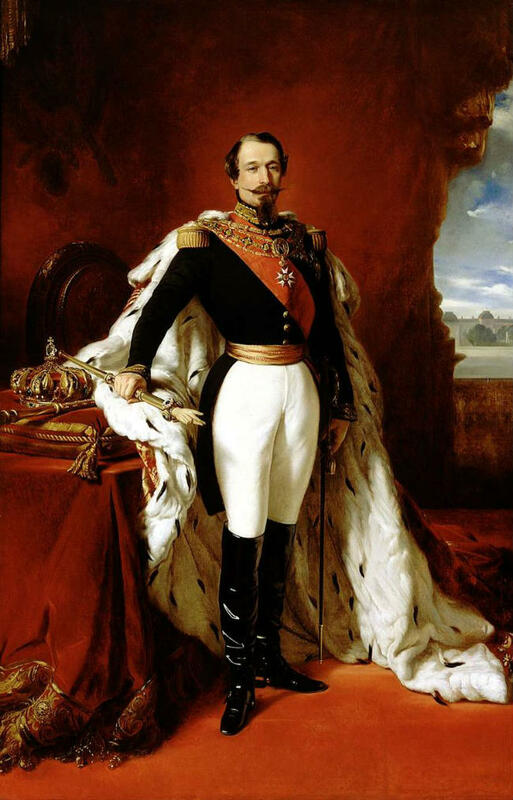 In 1851 he declared himself Emperor Napoleon III of the Second Empire. During his reign he maneuvered the largest urban transformation since the burning of London in 1666, with the hiring of a spectacularly quixotic public administrator, Georges-Eugène Haussmann. Remarkably, Haussmann was not an architect nor a city planner, but he was audacious, egotistical and smart. Born in 1809 in Paris, he studied law and music. At the age of 22 he began a career as a public administrator, successfully working for the city of Poitiers as a sub-Prefect. Two years later he became Prefect for the city of Nerac, “A town…”, he said, “…separated by steep hills and shoe piercing cobbles.” Nerac was the former home of King Henri IV of France, where horses were known to disappear in mud holes and the roads looked like they’d been “…created by a moderate sized colony of moles.” By the time Napoléon III became Emperor, Haussmann had worked in nine cities, and was presently Prefect of the Seine department, which coincided with the first wave of French industrialization. While Haussmann had an innate sense of style, neither he nor Napoléon III were actually trained in the arts, but they both shared a similar aesthetic and knew what they wanted Paris to look like: a cohesive cream-colored, neoclassical wonder built from Lutetian limestone quarried outside the city. It was a match made in heaven. Haussmann and Napoléon III met every day in Napoléon’s office where he had a huge map of Paris installed. With colored pencils they would mark their priorities. First they concentrated on boulevards, streets, public works (including sewer, water and gas lines), train stations to move large concentrations of people, then architecture. They wanted a well-ordered city, based on a geometric grid with streets running north and south, east and west. Since the Seine River served as a natural border, they divided the Medieval neighborhoods of Paris into districts, or arrondissements, growing the number from 12 to 20, and began reconstructing inward from the river’s banks. 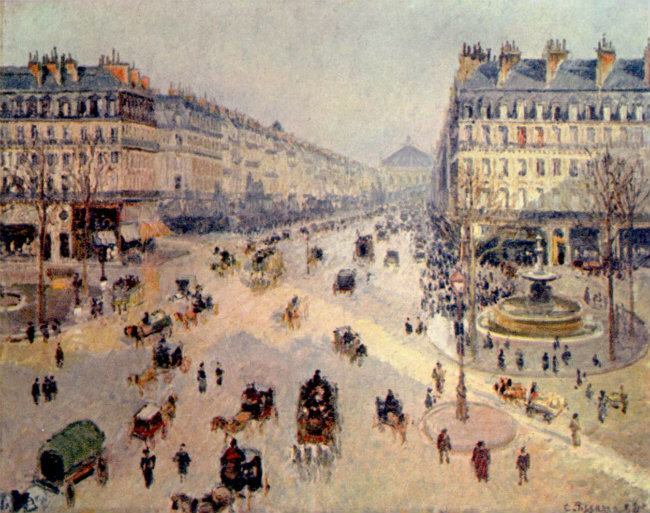 Upon completion, Haussmann had constructed 26,294 km of new boulevards, streets and avenues; created 2,000 hectares (4,932 acres) of parks – four at the cardinal points of the city; and built 24 new squares totaling 150,000 square meters (over one million square feet), an endeavor magnificent in its breath and scope. To house the teeming inhabitants of the city, he instructed his newly formed Corps d’Architects to design apartments five stories high. These were to be constructed in a simple classical style from massive stone blocks to create the illusion of larger buildings. For the upwardly mobile residents, the nouveau riche, he combined elaborate decorative adornments of sculptured friezes, Corinthian columns, Baroque and early Renaissance motifs. Chestnut and plane trees were planted (600,000) to line the boulevards, composing a grand urban landscape. Haussmann and Napoléon III’s mutual love for the ancient monuments led to a less than perfect plan, but what they accomplished was nothing short of miraculous. What they wanted to keep, they kept, and what they didn’t, they demolished. 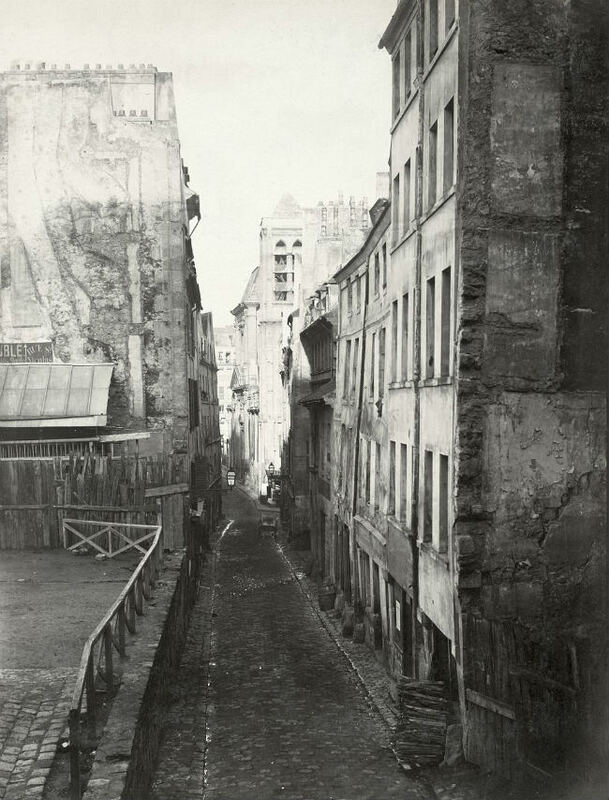 Entire neighborhoods were turned upside down, displacing over 350,000 living residents, while they moved the remains of six million people interred in cemeteries scattered throughout the city to underground ossuaries (catacombs) in the 14th arrondissement. 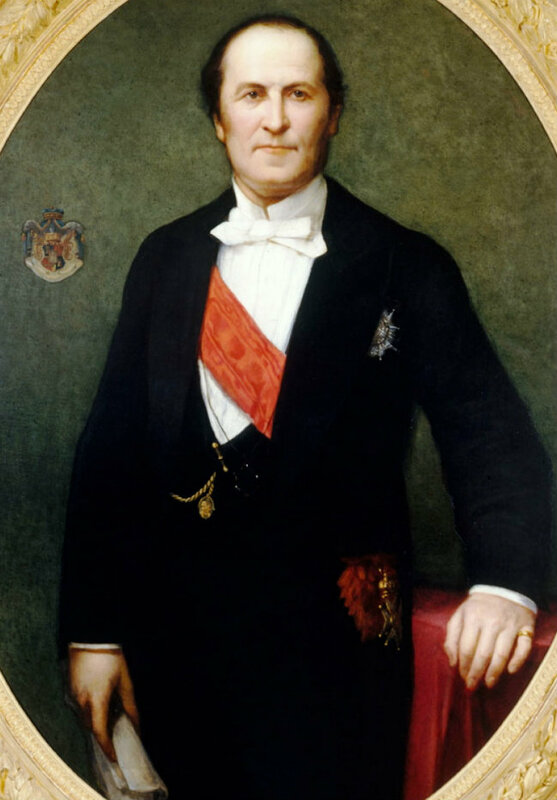 Haussmann had many critics and was asked to resign due to his and Napoléon III’s lack of financial foresight; unforeseen costs, as well as rising prices, coupled with their lack of fundraising, paralyzed the city. Haussmann began with a budget of 2,500,000,000 francs, the equivalent of 44 times the budget of New York City for one year in the mid 1950s. Napoléon III made him a Senator, gave him the title of Baron and awarded him the Grand Cross of the Legion of Honor. But, it hardly seems enough recognition for the man who gave us, with throughly original design and renovation: the Gare de Lyon, Gare du Nord, Gare de l’Est, Les Halles, Hötel Dieu Hospital, The Paris Opéra, the Fontaine and Place Saint-Michel, the Rue de Rivoli, boulevards Raspail, Haussman, Saint-Germain, Voltaire and countless others, avenues des Gobelins, Mouffetard, Soufflot, Malesherbes, Victor Hugo, Kleber and Georges V, the Bois de Boulogne, Bois de Vincennes, Parc des Buttes Chaumont, Parc Montsouris, Parc Monceau, Jardin du Luxembourg, The Grande Hôtel du Louvre, the Champs-Elysées (formerly a sewer) and Père Lachaise Cemetery, where he was buried in 1891. Everything we love and hold dear about the City of Light today we owe to the singular brilliance of Baron Georges-Eugène Haussmann. 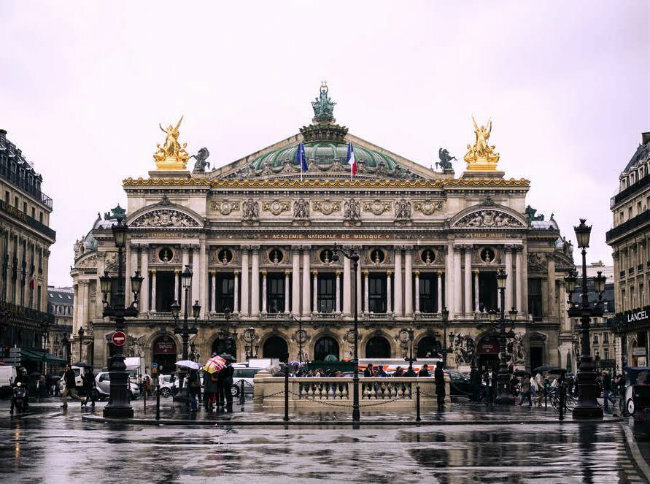 Thanks for telling this great story about the scope of Haussmann’s contributions! What a beautiful story! I love to read anything about Paris but the background on Haussmann is pretty impressive!! Thank you i really enjoyed it! 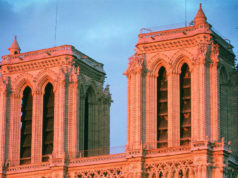 I loved this article, as I have always loved the City of Light even before I visited for the first time. The projects of Baron Haussmann have been among my favorites. Thank you for such an informative and wonderfully illustrated article. Thank you for this wonderful story. It is a subject I knew a little about and you have coloured in the details brilliantly. Impeccable research, beautifully written and totally engaging. I’m a total history geek and this is the kind of intelligent story that keeps me coming back to Bonjour Paris. A wonderful article. I had no idea of the scope of Haussmann’s designs and projects. How incredible. Thanks for this education. 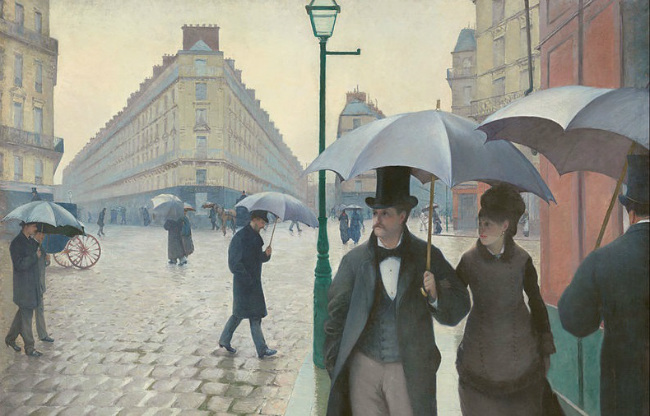 This article is a concise reminder of the amazing transformation that Paris underwent in the 19th century. Thanks for the edification. Thank you for commenting Stephanie, Jack and Jane. I’m pleased all of you enjoyed the article and found it illuminating. I just discovered this article. It’s wonderful! Thanks for all your fascinating articles. Ineresting thank you although I would not say that everything we love in Paris we owe it to Haussmann. Among others who participated in Paris layout, and beauty you should consider the role of Henri IV with Pont Neuf and Places Dauphine and Vosges, then the construction of Ile Saint Louis. See the XVII and XVIII th centuries Mansions in the Aristocratic Marais. And more recently the role of André Malraux, Secretary of Culture of De Gaulle who decided to protect the whole Marais, starting a long process of Heritage preservation. Actually many Parisians consider Hassmann as “Paris reaper” as if Napoleon the III did not have to resign, we would have lost all of Medieval and XVIIIth century Paris. 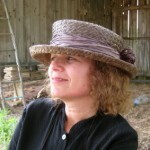 Fantastic blog, congratulations! I lived in a Haussmann apartment for 18 months – absolutely loved it! Truly enjoyed the article, so informative. Gave me a greater understanding of how Paris became such a beautiful city. 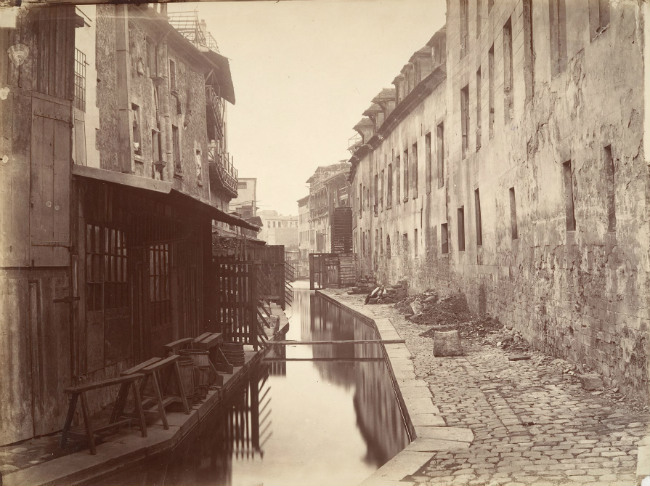 The otherwise excellent article omits an important fact about Haussmann’s renovation of Paris. The changes had a military objective. The old, narrow streets were easily blocked by rebellions. Think of the barricades in “Les Mis.” The new boulevards, open and straight, were designed to allow cannon fire to clear the streets of troublesome people with a “Whiff of Grapeshot.” The wide main thoroughfares are sized for a cavalry charge and the squares and parks were situated for army encampments. The Paris we know and love today was designed not only for style but for security as well. I love your article and your writing makes me want to go to Paris again soon. I will see it with new eyes and ears, thanks to you.